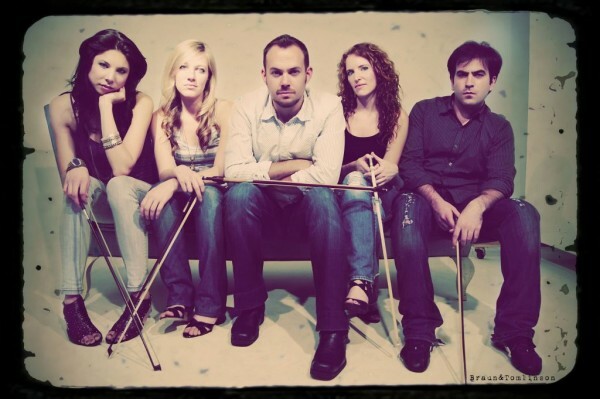 On March 4, 2013, string quintet Sybarite5 will play in the Student Event Center at the Taylorsville Redwood Campus of Salt Lake Community College. Everything In Its Right Place will be available at the concert for $20, and band members will be available to autograph the CDs. Tickets to the event are $5 for students and $10 for community members in advance. The concert starts at 7 p.m. with dinner being served at 6:30 p.m. The group features classical crossover music playing everything from Mozart to Radiohead. Their latest album is Everything In Its Right Place and features songs by Radiohead done by the quintet. “We basically have one rule in our group, we play music that we love,” says cellist Laura Metcalf. Metcalf says that the group chooses songs that everyone is passionate about. If only one member of the group is unsure about a song, the group won’t do it. “It’s a democracy, but we try to make sure that everybody’s happy,” says Metcalf. Paul Sanho Kim is responsible for a majority of the arrangements that the group plays. According to Metcalf, it is his genius that is able to capture the complexity, texture and layers of Radiohead’s music for Sybarite5’s stringed instruments. “There aren’t very many other groups of our combination, but there are more groups that are coming out now,” says Metcalf. Bassist Louis Levitt founded Sybarite5 in the mid-2000s at the Aspen Music Festival. Other members of the group are violinists Sarah Whitney and Sami Merdinian and violist Angela Pickett.